This teeny string bikini top from Leonetti Swimwear, features black durable ribbed trim and adjustable halter spaghetti ties. A hot top for a hot summer! Look at you, beach babe. You're a bride now! Time for a relaxing honeymoon with your new hubby. 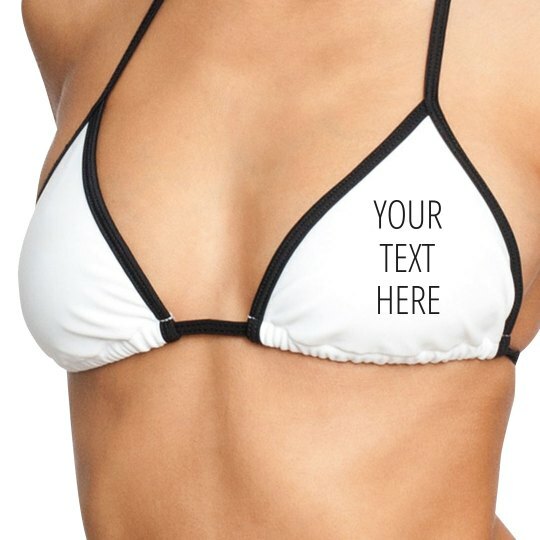 Get yourself this custom bridal bikini top so that you can customize it to your new MRS. name! Let everyone know you are the happy newlyweds.